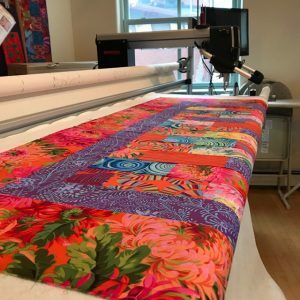 Come learn how to quilt your own quilts on the BERNINA Q 24 Longarm machine, with 24″ throat plate and stitch speed of 2200 stitches per minute! We offer training classes on the BERNINA Q 24 Longarm machine for those who want to rent the machine. The required BERNINA Q 24 Longarm Machine Basics class includes 2 sessions (2 hours each) where you will learn the necessary information to operate the machine, and 3 practice sessions of 1 hour each (1 hour session at a time) to qualify you as a certified renter. The hourly rental rate will be $20/hour and does not include supplies (thread or batting.) 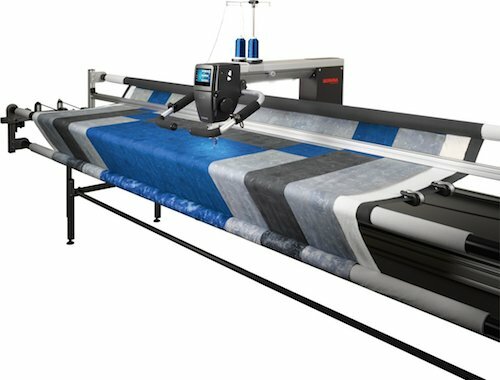 Use of the Q-matic, BERNINA’S automated quilting program, while renting the BERNINA Q 24 Longarm machine adds $5.00/hour to the rental of $20.00/hour. In this 3-part introductory class, students (age 18 or older) will learn how to operate the BERNINA Q 24 Longarm machine in order to work independently. The first 2 classes will cover the basics of operation and third component will be independent practice sessions. Students will learn how to load the frame, thread the machine, and navigate the unique, user-friendly interface. Students will spend time working with the different stitch modes and explore free motion quilting techniques. Learn how easy it is to use the BERNINA Q 24 Longarm machine to complete your unfinished quilt tops professionally! 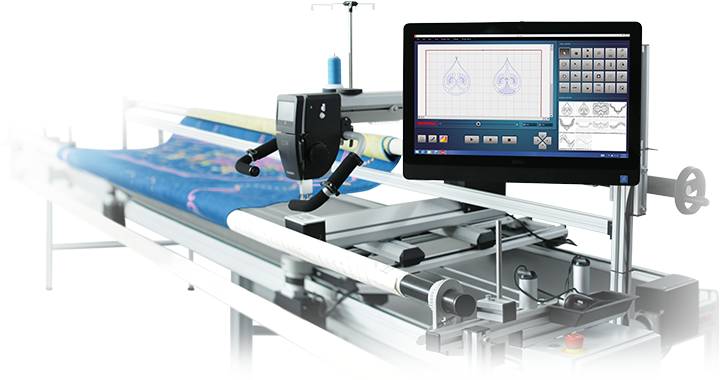 The completion of all components of the Basics class is required before renting the BERNINA Q 24 Longarm machine. Maximum 3 students per training session. There is a separate class for training on Q-matic, BERNINA’S automated quilting program, Q-MATIC BASICS, 4/28/19, 2:00-3:30pm. Sign up here at Part #1. Fee $120 includes Part #1 & #2 training class and 3 practice sessions. Training class: Part #1, Sunday, 4/28/19, 12:00-2:00pm. Part #2, Sunday, 5/5/19, 12:00-2:00pm. Sign up for 1 hour increments, maximum 1 hour per day. Please call or email to sign up for practice session or to schedule an alternative time on Mondays, Thursdays and Fridays.